As I posted last week, my book Shear Madness was released. Yes, great news, but now for the not so great. When I was reading my Kindle version after it went live, I learned an extremely important lesson: ALWAYS read the manuscript, after the editor is done, and not just the parts that were edited, but the entire thing. Very carefully. After all of my read-throughs, other people that have read it, and the editor, there were still errors I found after taking a month away from the manuscript and reading with fresh eyes. Unfortunately after it went live. An editor cannot be expected to catch every error. That responsibility falls on none other than the author. So sales were temporarily suspended until said errors were corrected and now it’s back in the world of readers again. 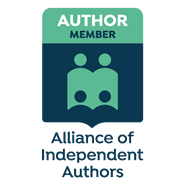 I say this so other beginning authors can learn from my mistake, and to say that as disappointing as it was, at least I learned the lesson, so it wasn’t for naught. 🙂 I’ve noticed mistakes in the books of authors such as James Patterson and Patricia Cornwell, but the difference is, when you’re that famous you can afford to make those mistakes. For someone just breaking into the field, mistakes can be fatal to one’s writing career. That being said, I have a new deep respect for the editing process and am convinced my next book will be all the better for it. ← Shear Madness is now Available! At least you could correct them which is a good thing. Both of mine released with errors in it and this was with 3 rounds of edits. Ugh. It happens. I think readers are a little more forgiving about it. Thank you Angela. I didn’t have these issues with my first book. It’s kind of like having kids–my first one was so easy and then came the second. LOL! 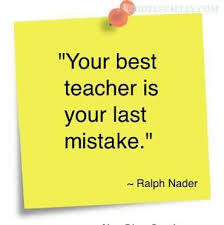 Great reminder Rhonda and everyone is guilty of making mistakes in the beginning and yes we should be learning from them. Kath.